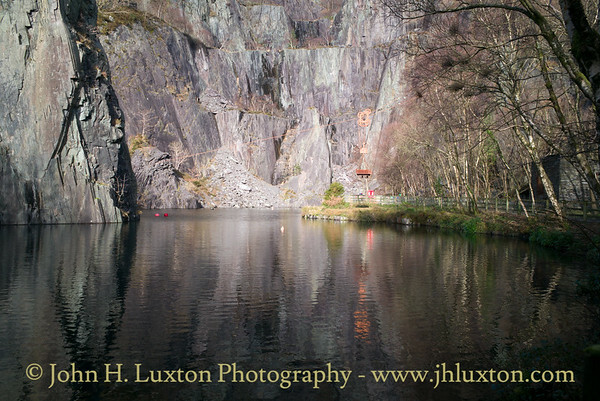 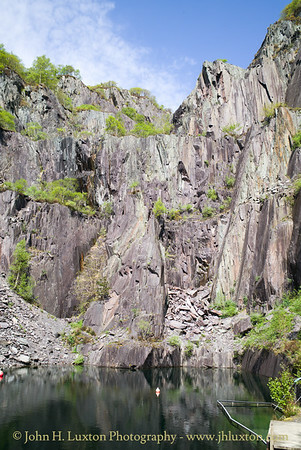 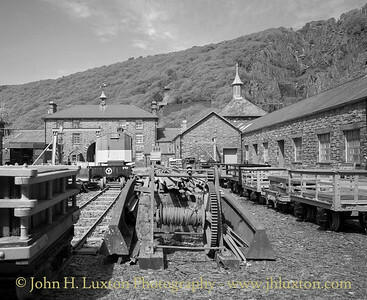 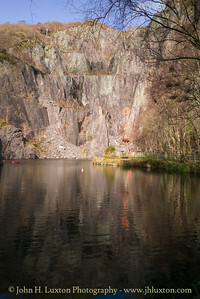 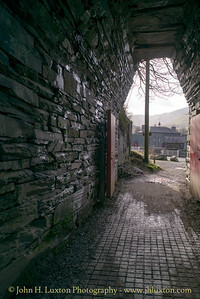 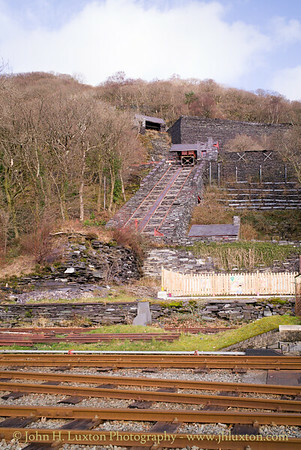 Dinorwic Quarry and The National Slate Museum - Amgueddfa Llechi Cymru, Gilfach Ddu, Llanberis, Wales. 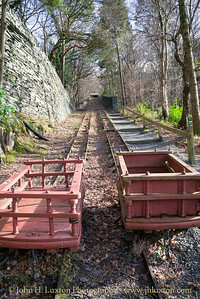 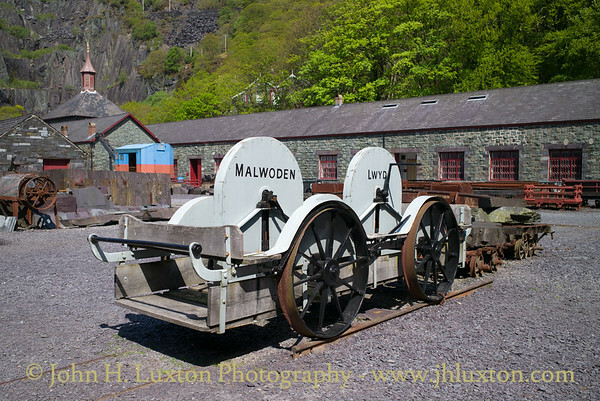 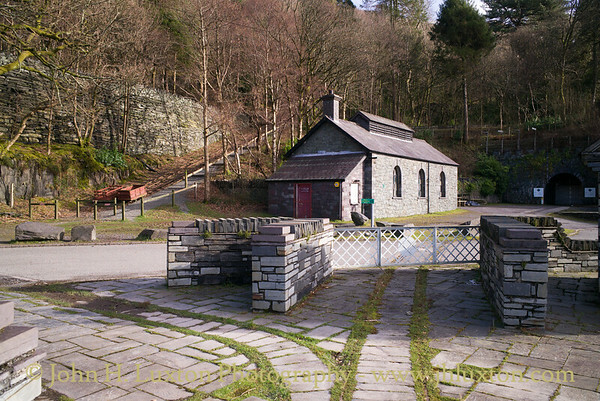 A Padarn Railway velocipede MALWODEN LWYD. 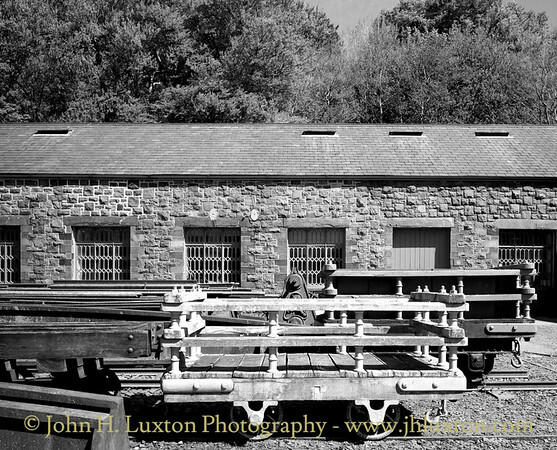 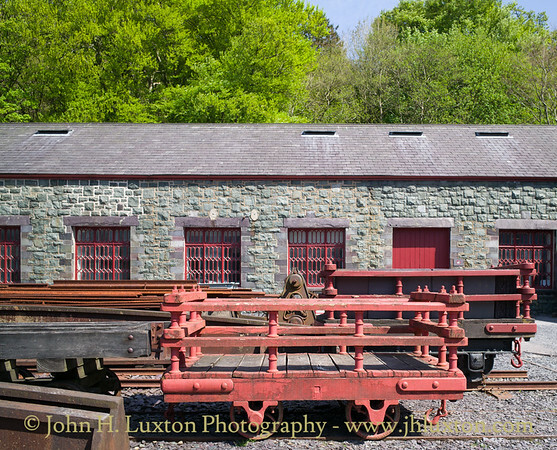 Narrow gauge slate wagons in the yard. 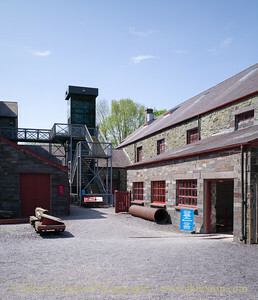 The largest working waterwheel in mainland Britain stands in the stone enclosure on the left of this image. 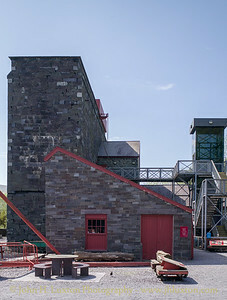 The waterwheel was constructed in 1870 by the De Winton Company of Caernarfon and is 50 ft 5ins in diameter, 5 ft 3ins wide and was built around a 12in axle. 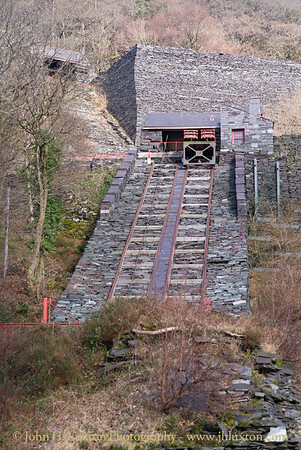 It provided power for the quarry workshops until replaced by a Pelton Wheel. 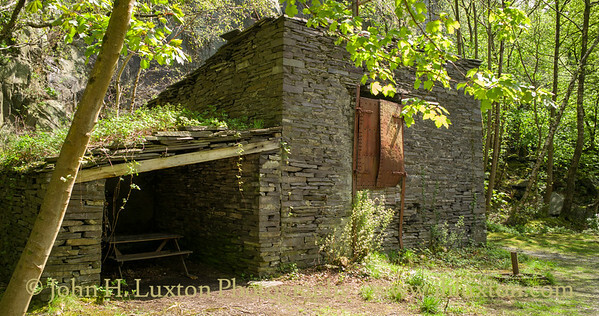 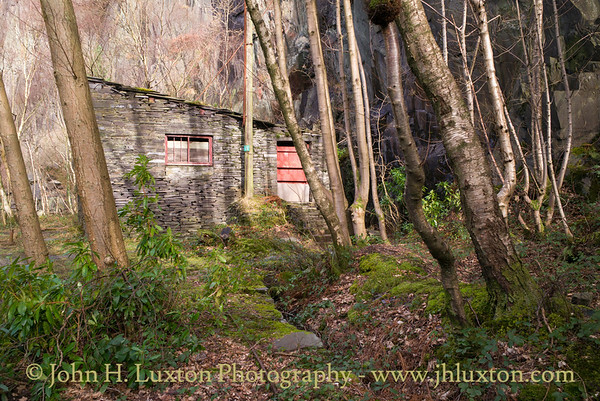 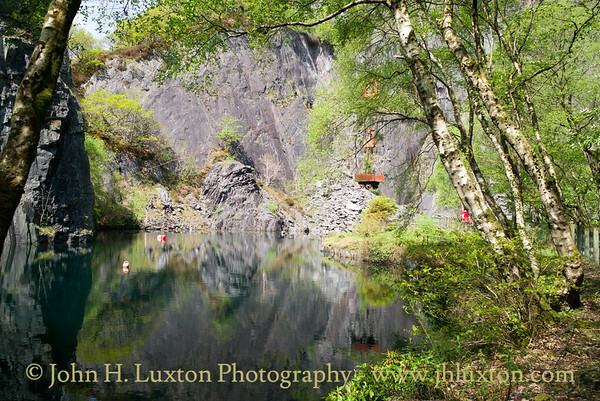 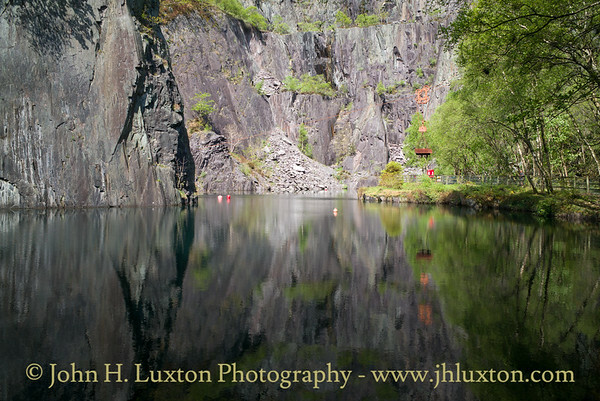 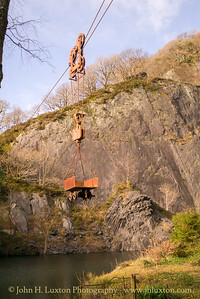 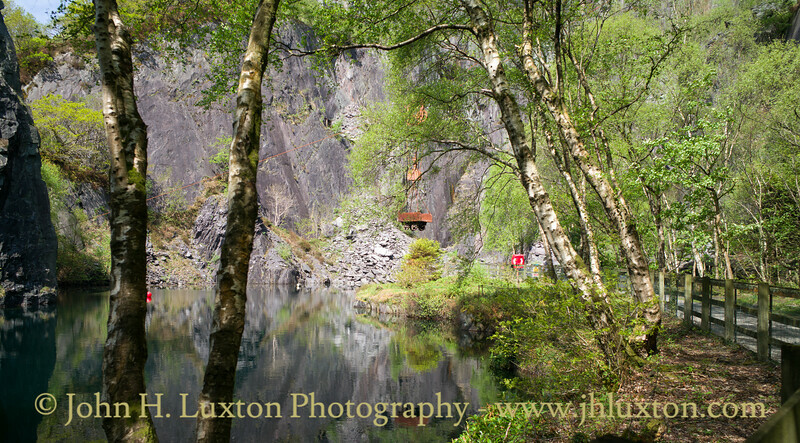 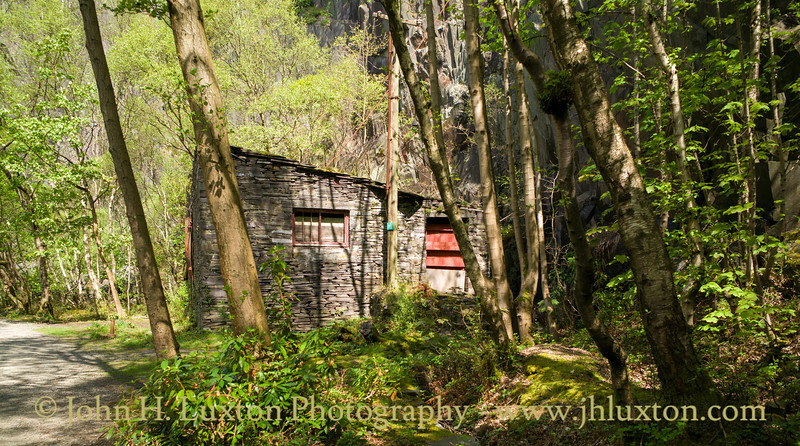 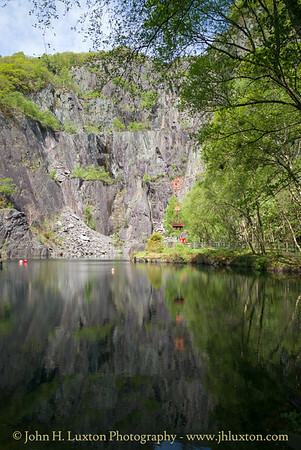 The Blondon Engine house in Vivian Quarry at Dinorwic. The "Fire Queen" locomotive shed of the Padarn Railway. 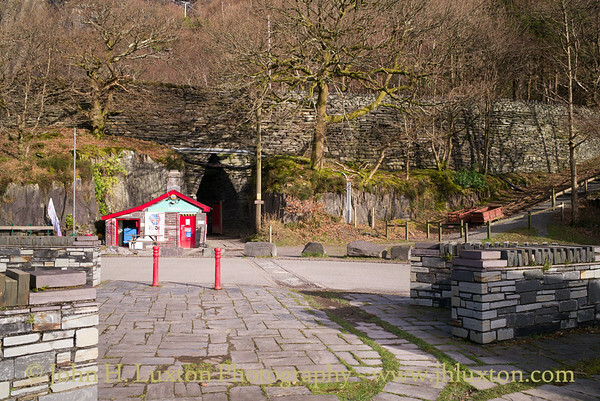 Vivian Quarry entrance archway - the National Slate Museum can be seen beyond.